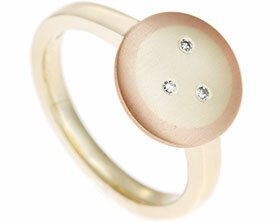 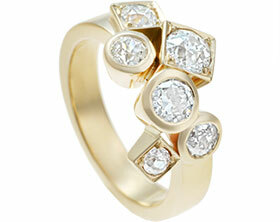 Jackie had a gold ring and a pair of earrings that she wanted to redesign into a single dress ring. 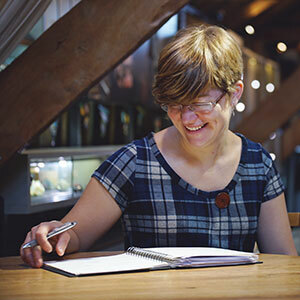 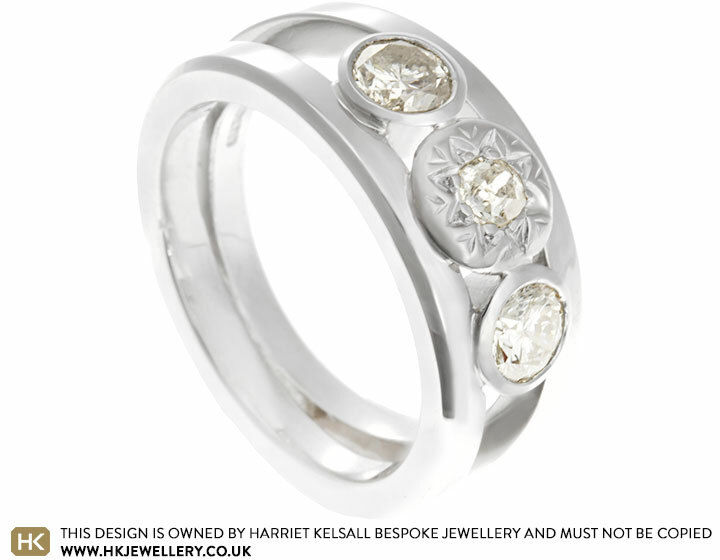 She was inspired by aring with a double band design and thought this could work rather well - especially when we suggested that she re-use the setting from her original ring. 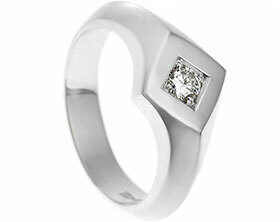 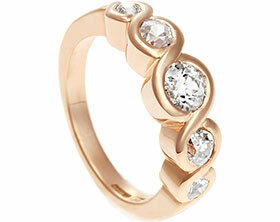 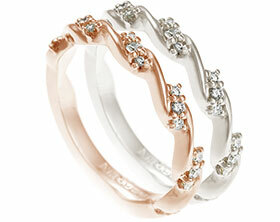 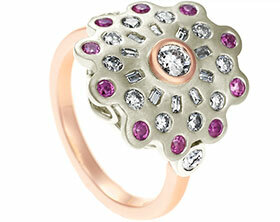 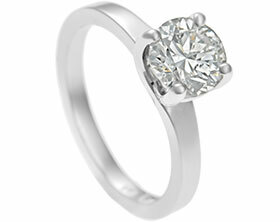 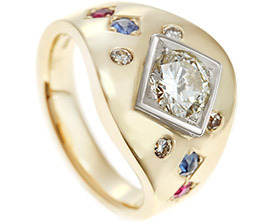 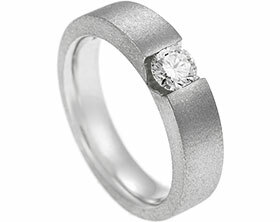 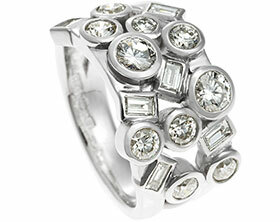 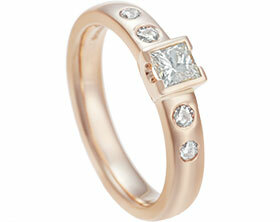 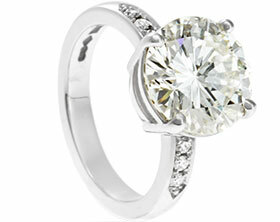 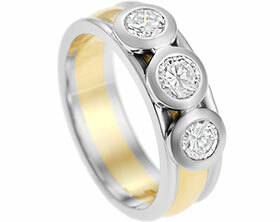 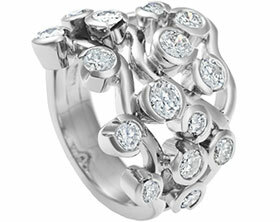 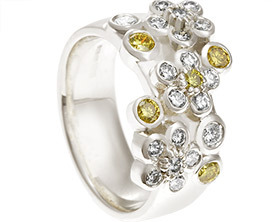 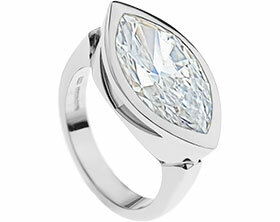 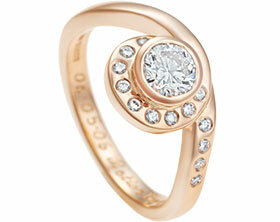 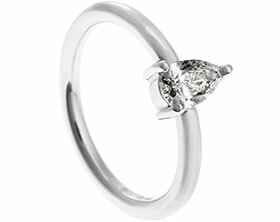 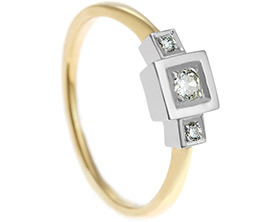 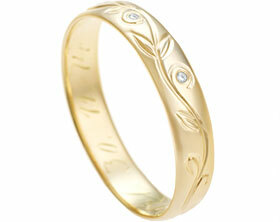 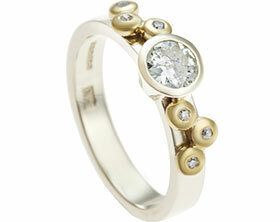 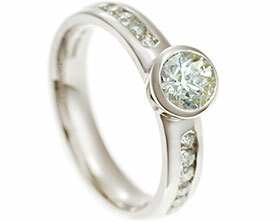 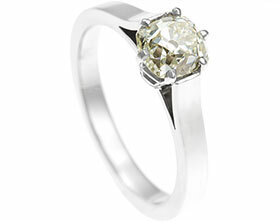 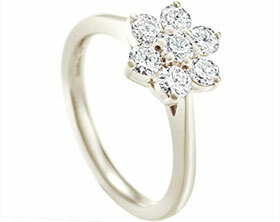 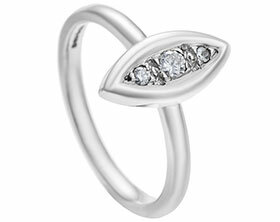 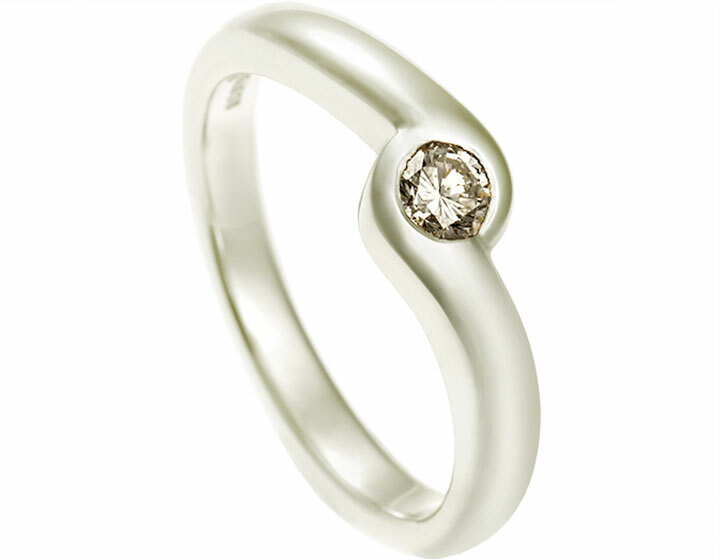 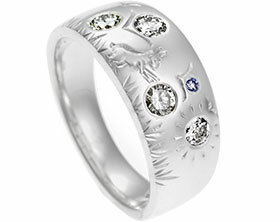 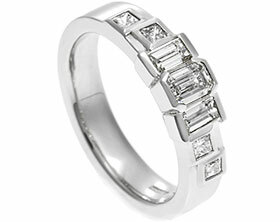 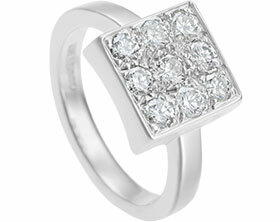 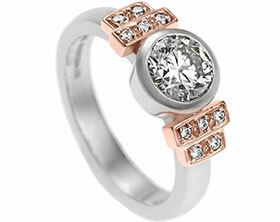 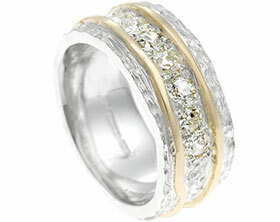 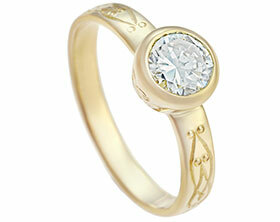 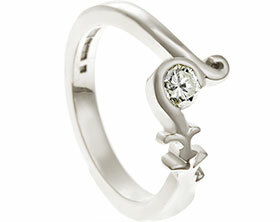 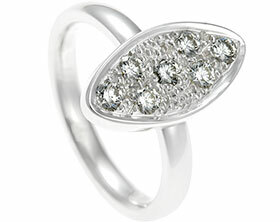 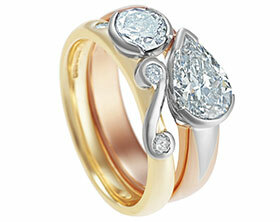 This created a focal point at the centre of the new ring which is framed by another diamond on each side.